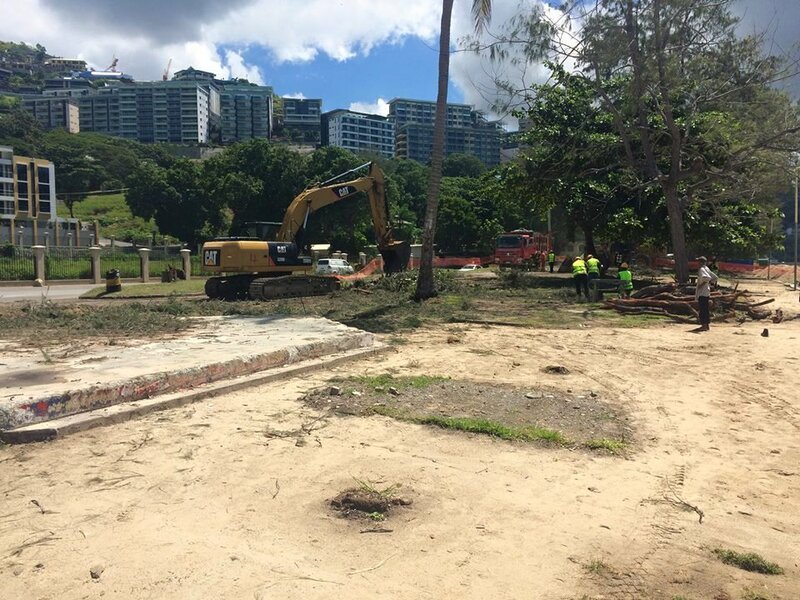 The removal of the Iconic Ela Beach Park not gone down well with city residents who frequently spend time out with family and friends at the park for recreational purposes. Trees, shrubs and palms which provided shade for residents were removed this week to create way for construction to take place in preparation for the 2018 APEC summit in PNG. Residents complained why the iconic beach was not considered for preservation since its creation back in the day. Concerned residents turned up in numbers to witness the uprooting of palm trees, shrubs, the basketball court and the amphitheatre. The redevelopment project will involve the construction of a two-lane road and an extension of the beach by another 100 metres.